In a major step forward for green energy, the French government has announced plans to install solar photovoltaic panels on 1,000 kilometers (621 miles) of road over the next five years. The goal is to supply renewable power to 5 million people—or about 8 percent of the French population. The solar roadways will use Wattway panels, a photovoltaic technology unveiled last October by the major French civil engineering firm Colas. According to Ségolène Royal, France’s minister of ecology and energy, the “Positive Energy” project will be funded by raising taxes on fossil fuels, a decision Royal says is “natural” given the low prices of oil. 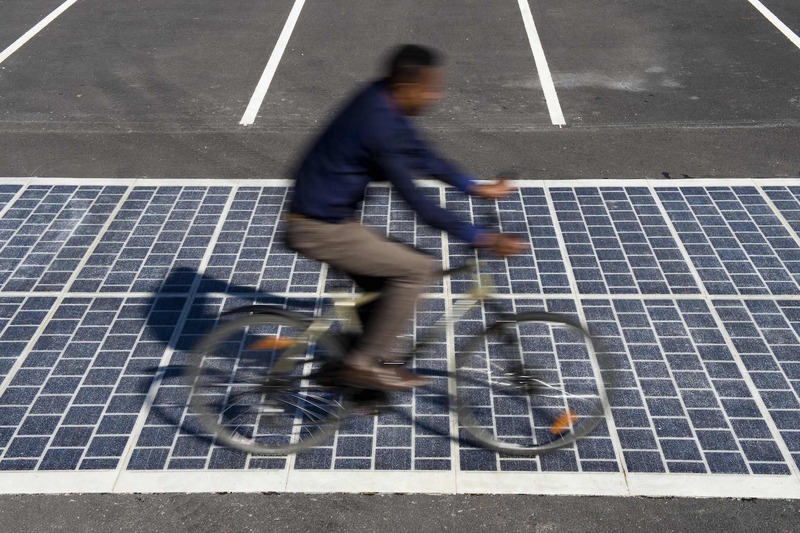 Although France isn’t the first country to pave roads with solar panels—the Netherlands installed the world’s first solar panel-paved bicycle path in 2014—their plans for 1,000 kilometers of solarized roads are the most ambitious. According to France’s Agency of Environment and Energy Management, four meters (13 feet) of solarized road is enough to power one household’s energy needs, not including heating, while one kilometer (3,281 feet) can supply enough electricity for 5,000 inhabitants. The solarized roads will be covered with Wattway panels, a technology that took five years to develop and can be glued directly on top of existing pavement. The panels harvest solar energy using a thin film of polycrystalline silicon. The seven-millimeter-thick strips are rugged enough to withstand all types of traffic, including the weight of a 6-axle truck, and provide enough traction to prevent skids. According to Colas CEO Hervé Le Bouc, the Wattway panels have been successfully tested on a “cycle of one million vehicles, or 20 years of normal traffic a road, and the surface does not move.” The panels have also withstood the snowplow test, though the company recommends operating the machines with “a bit more care” than on conventional pavement. The locations for deployments have yet to be revealed. The fossil fuel tax is expected to bring in between 200 to 300 million euros ($220 to 440 million) of funding for the project. While there remain many concerns on solar road concepts, including safety and cost effectiveness, the project remains an exciting step forward in exploring the potential of renewable energy. Tenders for the “Positive Energy” initiative have been issued and tests on the solar panels will begin this spring. Does anyone know if anything similar is available in US. According to France’s Agency of Environment and Energy Management, four meters (13 feet) of solarized road is enough to power one household’s energy needs, not including heating, while one kilometer (3,281 feet) can supply enough electricity for 5,000 inhabitants. The solarized roads will be covered with Wattway panels, a technology that took five years to develop and can be glued directly on top of existing pavement. 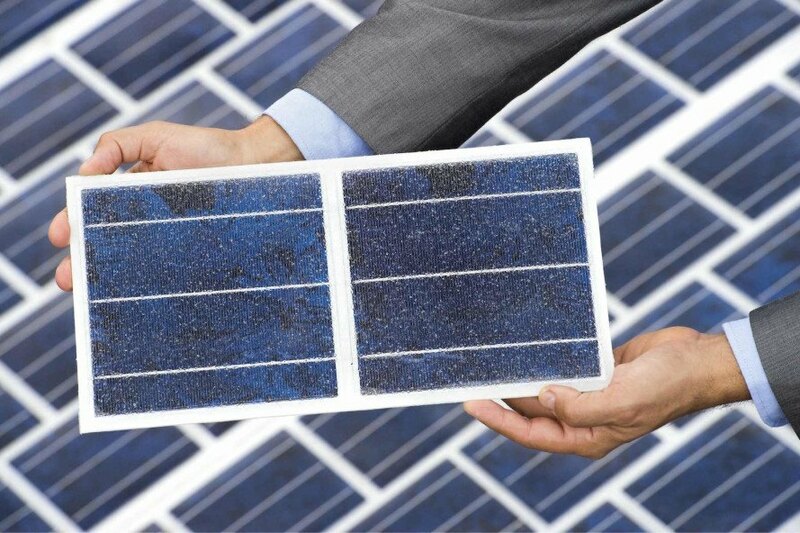 The panels harvest solar energy using a thin film of polycrystalline silicon. The seven-millimeter-thick strips are rugged enough to withstand all types of traffic, including the weight of a 6-axle truck, and provide enough traction to prevent skids. The panels have also withstood the snowplow test, though the company recommends operating the machines with “a bit more care” than on conventional pavement. The fossil fuel tax is expected to bring in between 200 to 300 million euros ($220 to 440 million) of funding for the project.